Darjeeling: Around 14 regional Hills parties are contemplating putting up a united candidate to contest from the Darjeeling seat in the forthcoming general elections. 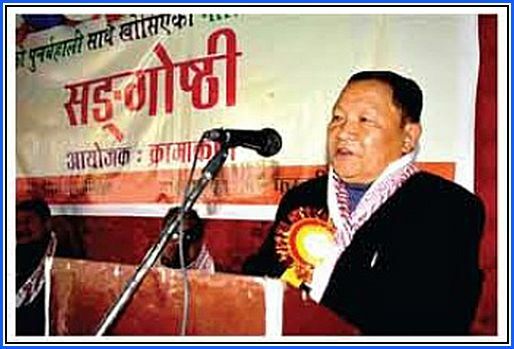 Harka Bahadur Chhetri, president of Jan Andolan Party that contested from the Hills in the last Assembly elections, said his party had decided to go alone in the Lok Sabha polls but was now considering joining hands with regional parties to counter the Binay Tamang camp of Gorkha Janmukti Morcha that had aligned with TMC and BJP. “After attending the seminar on Tuesday, I believe there is every prospect of the 14 regional parties coming together to contest the election and restore democracy in Darjeeling. JAP will hold a similar programme in Kalimpong on February 21-22,” Chhetri said. Around 14 regional Hills parties are contemplating putting up a united candidate to contest from the Darjeeling seat in the forthcoming general elections.